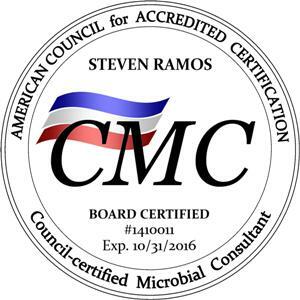 Envirovue’s service is truly unique in that Steve Ramos is a Council Certified Microbial Consultant. This designation is the highest award that can be obtained in the mold inspection industry. Envirovue offers a vast array of mold testing and inspection services to provide you with the information you need to make good decisions about your building or home. We offer expansive moisture evaluations using infrared cameras and moisture meters and several different mold testing options for assessing mold spore activity in the air or on surfaces. 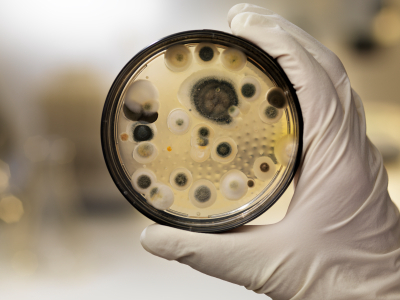 We offer one of the most advanced and sensitive mold testing protocols (identical to standards for food processing plants) using the Bio Reveal Microbial Detection system. This system offer immediate Biofeedback on surfaces in your home of office. We can performs evaluations to determine if remedial actions are necessary and we provide post remediation verification clearances. Please be sure to check out our education blog entries for case studies and other article on mold inspection related topics. The Bio Reveal System is a state of the art real time microbial detection system that provides results in 15 seconds on the bio status of the surface tested. It is an essential piece of technology for the mold inspector and this system is unique to our service. Spore trap testing is more than just collecting air samples and having them evaluated at lab for data. Understanding and interpreting the data can only be done by an experienced technician with years of training and field experience. Mold Testing is part science and requires significant field experience. Lab and field data on microbial activity are lost without moisture data. In order for the technician to understand the microbial data there must first be an understanding of the current moisture conditions for surfaces evaluated. 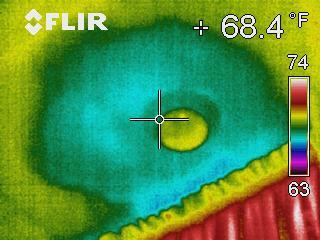 Infrared cameras are a critical technology tool. This technology requires extensive training and experience to operate along with a significant financial investment for the firm. Our 24/7 Real Time Scheduler allows you to make your appointment with us at your convenience 24 hours a day 7 days a week. The scheduler will allow you to choose the services you want for your inspection and confirm our pricing before you book your appointment. It will even send a confirmation email to you and one to our office. We can take appointments all over the Bay Area. Here are some of the communities we regularly serve: Petaluma, Santa Rosa, San Rafael, Sonoma, Napa, Vacaville, San Francisco, East Bay Counties, Solano County, and Lake County.